When most children aged four are playing with Lego, Barbies and teddies, Gigi Rose was learning to play the piano. She grew up surrounded by music as both her parents shared their passion for music with her, which shaped her approach to music. Through their support Gigi was inspired to explore and get creative in her own way. Music lessons became unnecessary as Gigi discovered her ability to teach herself to sing and write songs as well as play the piano and guitar. 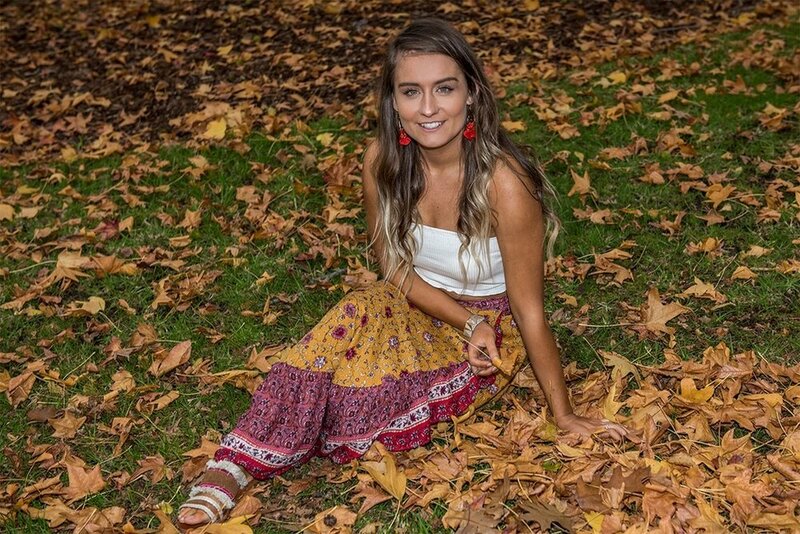 After finishing VCE at Padua College in Mornington, Gigi studied bio sciences and worked with the Peninsula RSPCA and Mornington Peninsula Shire. After still not finding her stride, she tried real estate, retail, renovating her first home and travelling around the world. Eventually she drifted back to her roots and uses music as a form of expression and connection. Discovering that music was an ideal way for her to express herself, she found harmony in pursuing the creative path and began songwriting as well. Gigi’s indie pop vibe is created by applying her life experiences and making sure to document her dreams to use as inspiration in her writing process to create dreamscapes through her lyrics. This fresh young artist writes a few chords, then adds some melodies. Ultimately she uses what comes to mind and then jumps on Garage Band. After receiving a piano, deciding on the stage name Gigi, finding her own sound and discovering who she was, she was set. The next step was to fine-tune her ambition into landing a gig. Her first performance was in a beer garden with her father in a small country town in Victoria. Since she took that first step she’s played at large events at The Bay Hotel and Portsea Hotel, as well as weddings over the past five years and more recently at The Peninsula Showcase Festival, where she released her first single, Fearless. This Mornington Peninsula-based singer-songwriter has spent the past few months recording 10 original songs at Bounce Studios and she’s signed with their affiliated label, Songbird Productions. Gigi wrote the lyrics and melodies for the album while working closely with producer Brendan Marolla, who played keyboards, and with musician Daniel Marolla, who also played keyboards, percussion and guitar on these songs. With her angelic voice and recently purchased caravan, she’s setting out to explore Australia with her partner for a year, all the while stopping at new places to perform throughout their travels. That’s it. That’s the only plan. This free spirit is following her own melody.